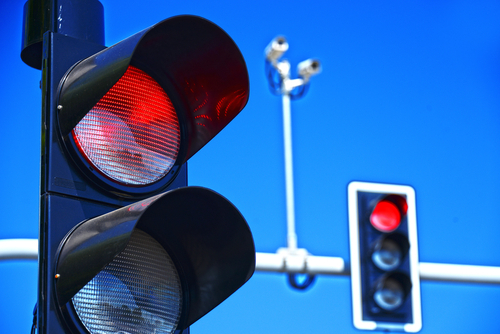 A House committee in Utah has approved a bill that would allow drivers to run red lights that appear to be cycling improperly, provided they pause for a sufficient amount of time and proceed only when it’s safe. The committee approved the bill on Tuesday despite opposition from police, prosecutors and others, the Salt Lake Tribune reports. The bill’s sponsor, Rep. Ken Ivory, rewrote the legislation to address concerns that it would allow cars to run red lights any time there was no traffic nearby. The revised bill requires drivers to stop for 90 seconds to “reasonably determine” that the light is malfunctioning before proceeding at a safe time. Rather than legalizing the practice, the bill makes it an affirmative defense to a red-light ticket. A law already in effect in the state allows motorcycle riders to follow a similar procedure. Ivory, a Republican, said the motorcycle law has been in effect for several years without problems. Ohio and Pennsylvania also have “dead red” laws that allow motorcycles and cars to run red lights, according to news coverage here and here. The Utah House passed a separate bill Tuesday that would allow bicyclists in the state to run red lights if it is safe, according to the Salt Lake Tribune and the Deseret News. The bill’s sponsor says Idaho has had a similar law on the books for 32 years, and there has been no increase in accidents. Traffic sensors often are unable to detect motorcycles and bicycles, CDL Life reported in 2014. As a result, several states have passed dead red laws that allow people riding motorcycles and bicycles to run malfunctioning red lights.